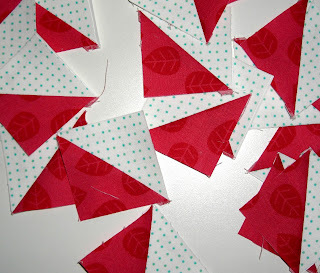 There are many ways to make Half Square triangles (HSTs)....also known as Triangle Squares. I have used many of them. I have AccuQuilt Go! dies to cut several sizes of them. 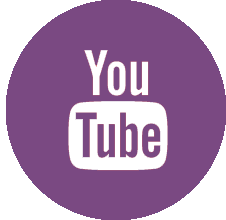 I have used the method where you put two squares facing and draw along the diagonal then sew a quarter inch on each side of the line. I have used Thangles before also. 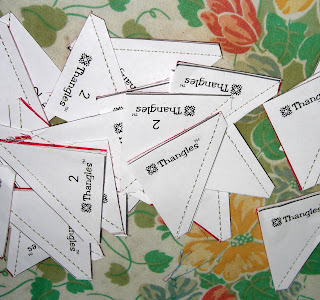 Thangles are strips of preprinted paper that you sew on to make HSTs. 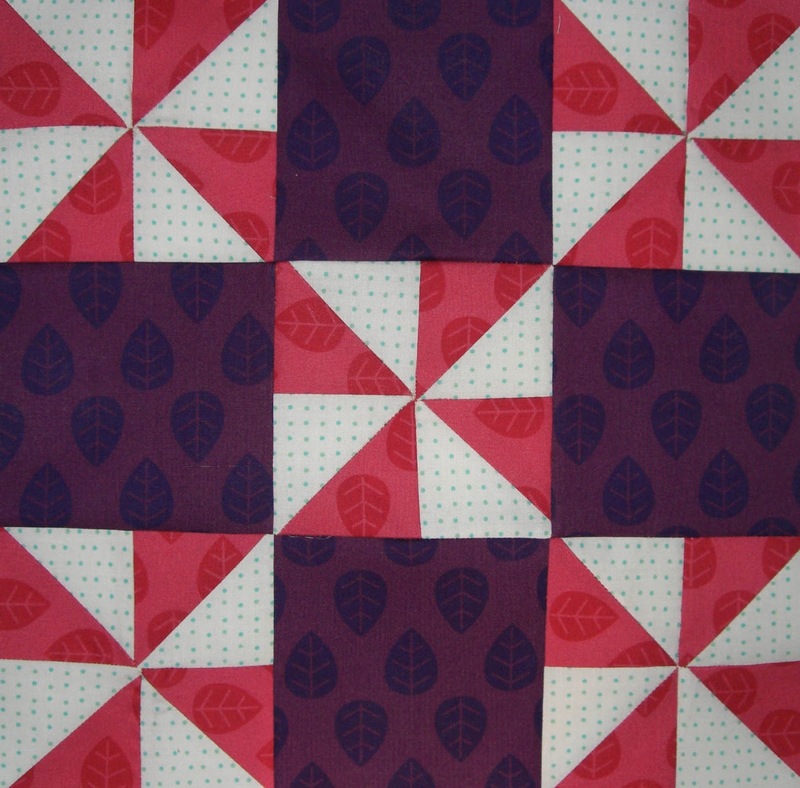 For the last Beginner's Quilt Along block there are lots of triangles. So, since I had the right sized Thangles, I decided to use some of them. I cut my strips, layered my fabrics and sewed. I sewed LOTS of them....too many in fact. Ha ha. After cutting the apart, I ironed them open and pulled the paper off the backs. Then they were sewed into pinwheels. 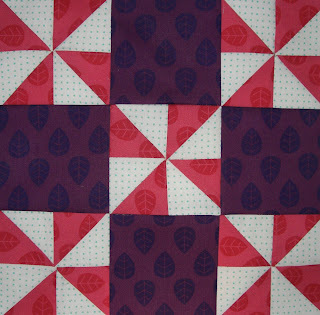 Finally I cut the four simple solid pieces and pieced the block. Don't look too close my accuracy was pitiful. Ha ha. I wasn't too worried about it. This will go on the back of the quilt. By the way, I saw the "blue moon" last night and it had a decided orange cast. It was very pretty. I have some thangles sitting collecting dust because I seem always to use the GO! dies for HST's now. 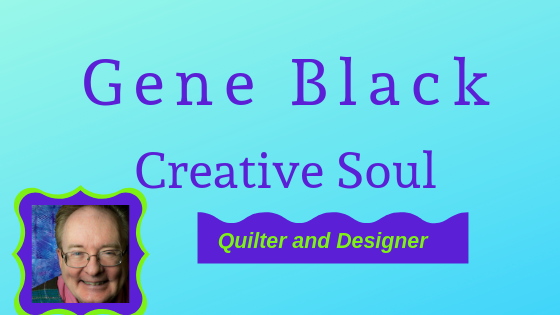 I have been in a quilting "lull" now.....need to get back in action BUT first I have two weeks of jury duty starting on Tuesday. *sigh* I really HATE that.....2nd time I've been called since moving to Delaware in 2004. Oh, well....this, too, shall pass. I keep thinking out grandmothers would have been so surprised at all the little tools and tricks we have today! I can't even imagine cutting and sewing triangles together without these things. Can you imagine what those bias edges would do? I can't imagine sewing triangles together without some sort of paper. 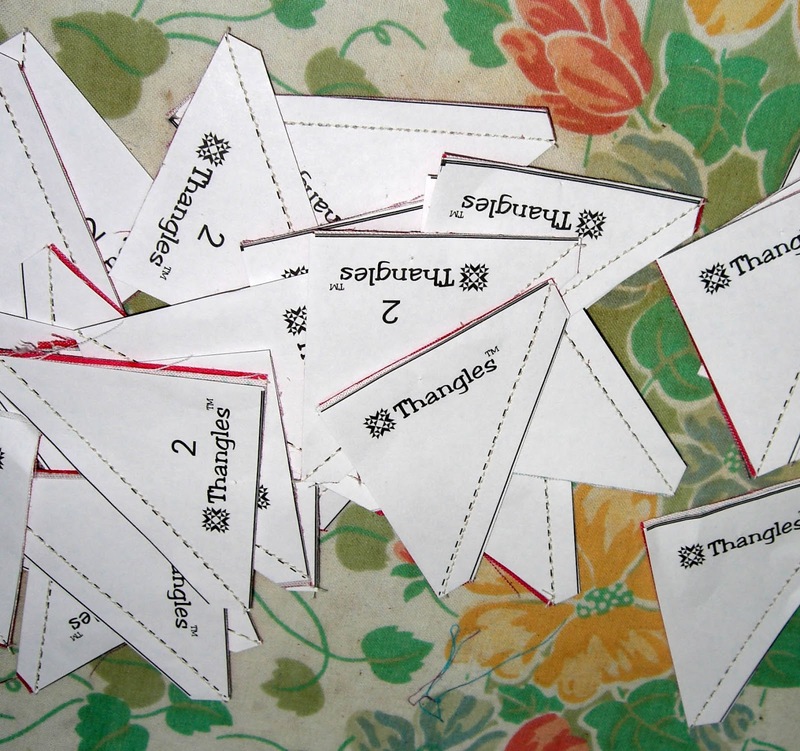 I am too cheap, and sometimes too far away from a store, to buy Thangles. So....I just place a strip of tracing paper where I intend to stitch, then sew. Works like a charm! Of course, I have to square it afterwards with an acrylic template. I don't have those nice trimming lines like you have with the Thangles. Looks great, Gene. Hope you are feeling well. I always wondered how those Thangles worked!